Hank Greenberg certainly remains the most famous and accomplished professional Jewish baseball player with that last name. However, this week Adam Greenberg was the "Greenberg" everyone was talking about. I first learned about Adam Greenberg in an article that Ralph Woronoff sent me. An usher at Adat Shalom Synagogue in Farmington Hills, Michigan, Ralph knows I'm a baseball fan and thought I'd be interested in learning about the small club of former major leaguers who only appeared in one at-bat in the big leagues. The article featured the story of Adam Greenberg, a Jewish ballplayer who not only appeared in just one at-bat in a professional game, but only lasted for one pitch. Greenberg was hit in the head by Marlins pitcher Valerio De Los Santos. He's the only player to have his career end on one pitch. 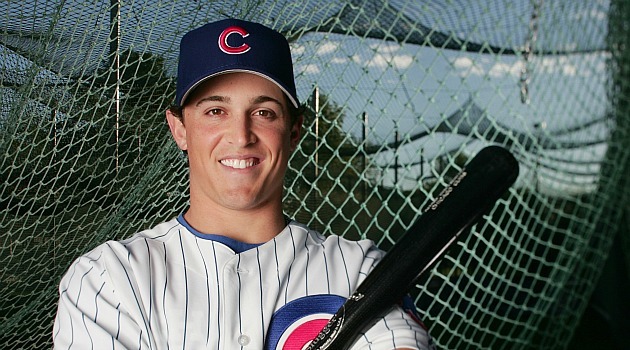 Called in as a pinch hitter for the Chicago Cubs on July 9, 2005, the rookie was hit in the head by a 92 MPH fastball. The hit to the head resulted in Greenberg dealing with post-concussion syndrome, dizziness, severe headaches, double vision and nausea. After reading the article I thought about blogging about Adam Greenberg's ordeal, but I just never got around to it. Now, Greenberg is making news because he's getting another chance in the big leagues. Now 31, Greenberg has had some plate appearances with several minor league teams and played for the Israeli team in qualifying competition for the World Baseball Classic where he drew a walk in his only appearance, but also scored a run. 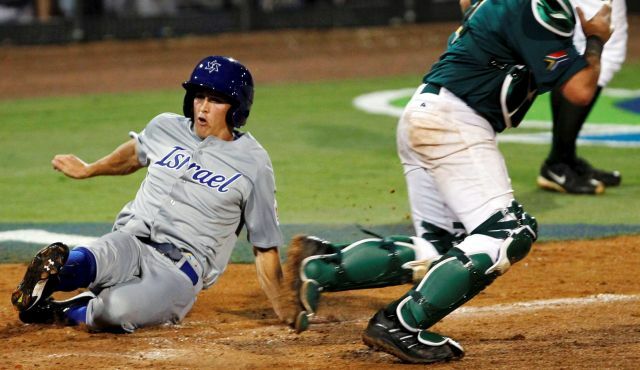 Adam Greenberg slides safely into home for Israel in the World Baseball Classic. Technically speaking, Greenberg's hit by pitch seven years ago is not considered an official "at-bat", but rather a “plate appearance.” Greenberg hopes to change that on Tuesday with a genuine at-bat. He'll donate his one-day salary to the Marlins Foundation, which will make a donation to the Sports Legacy Institute, an organization that advances the study, treatment and prevention of the effects of brain trauma in athletes and other at-risk groups. Here's the official video that started the movement to give Adam Greenberg one more chance at the plate in Major League Baseball. Of course, Hank Greenberg will always be the Greenberg we talk about when the topic is Jewish baseball legends, but Adam Greenberg's story is legendary too. Update: Adam Greenberg struck out swinging tonight after pinch hitting for Bryan Petersen in the bottom of the sixth inning.